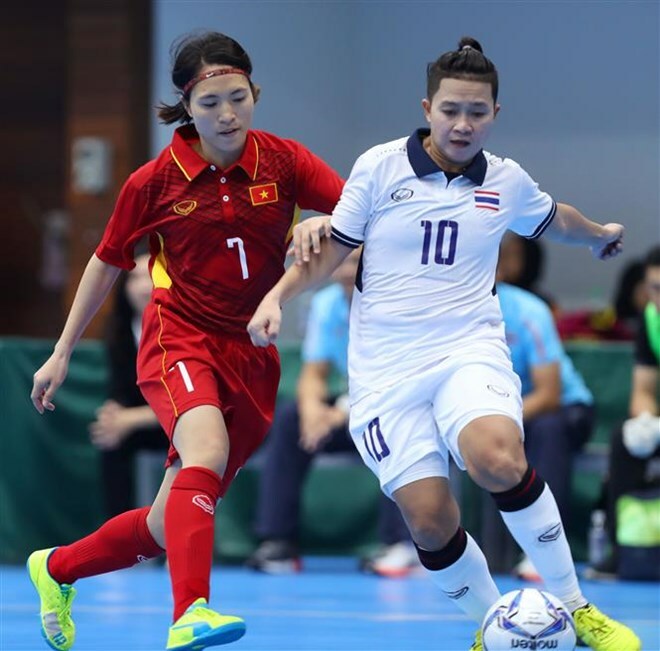 Kuala Lumpur (VNA) – Vietnam’s female futsal team lost to their Thai rivals 1-3 in the first match on August 18 at the 29th Southeast Asian Games (SEA Games) in Malaysia. The Vietnam side played in defence since the beginning, making their opponents struggle to score goals. No goals were scored by both sides in the first half. In the second half, Thailand dominated the game with three goals while the Vietnam team scored only one goal, making the match end in 3-1.